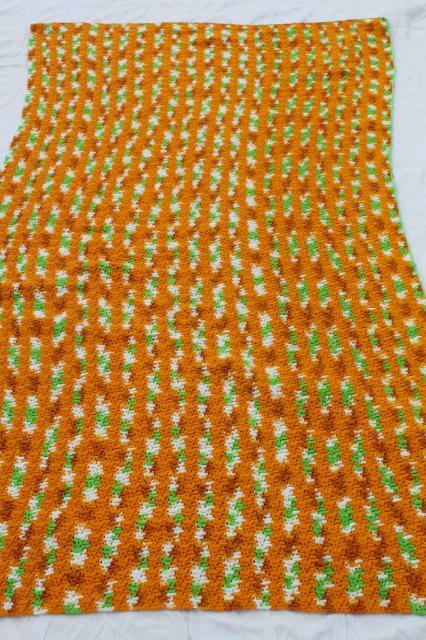 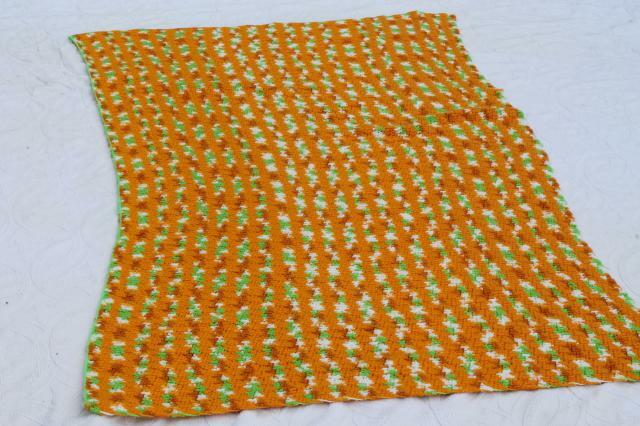 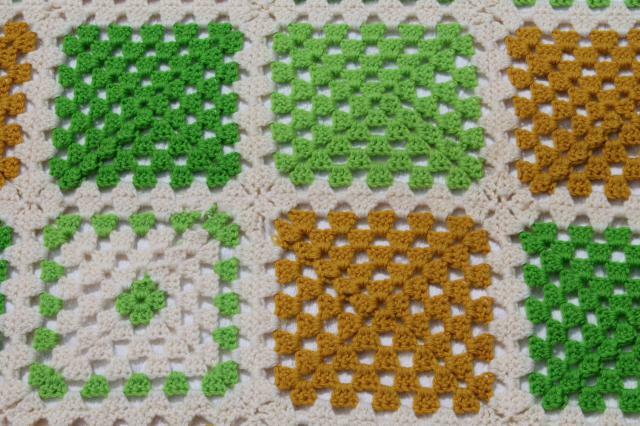 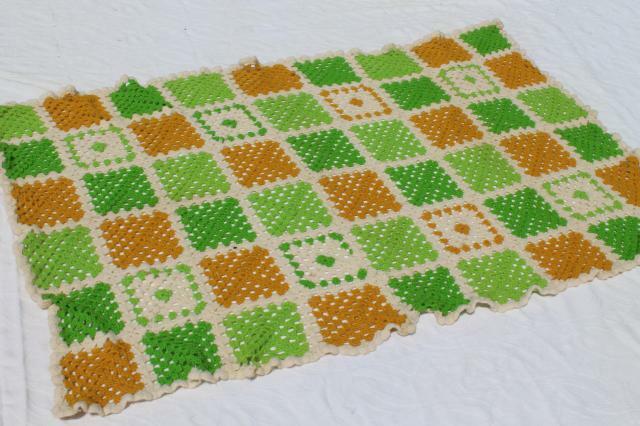 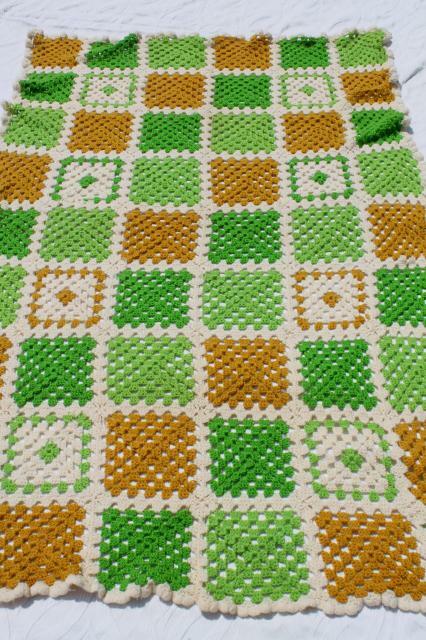 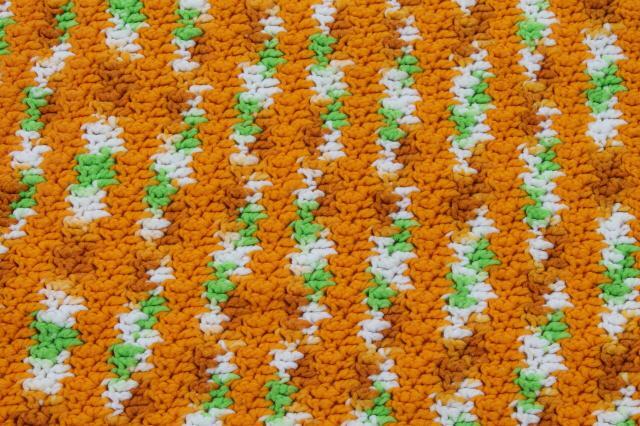 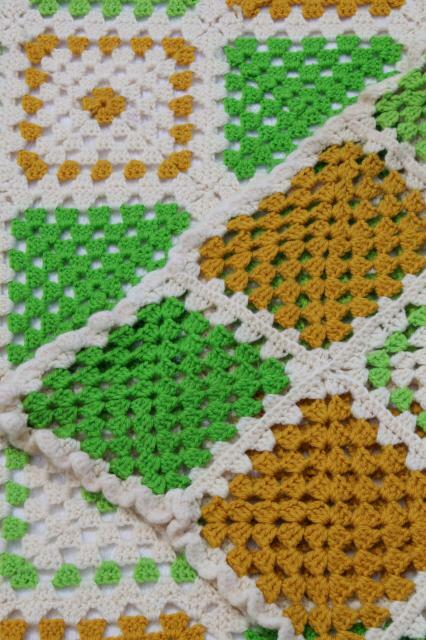 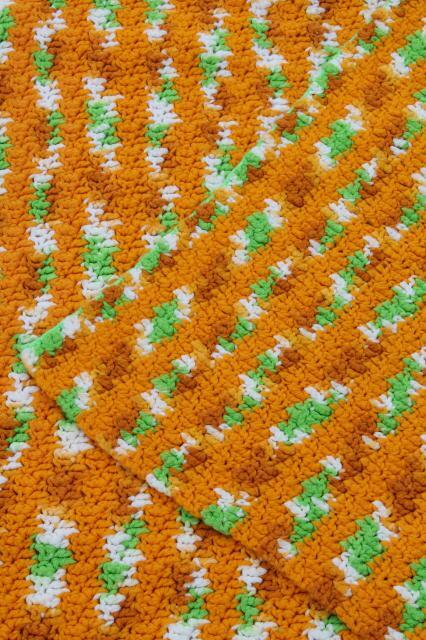 Lot of two different 1970s vintage crochet blankets, both of them acrylic in shades of lime green and gold. 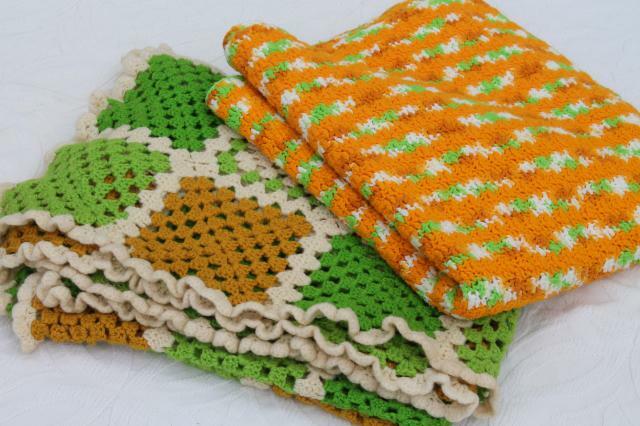 The granny square blanket measures 92" x 54", and the stripey blanket measures 80" x 42". 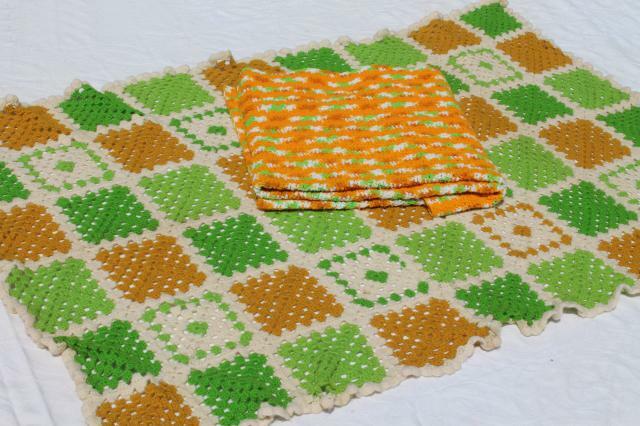 Both are in good condition, used but nice.